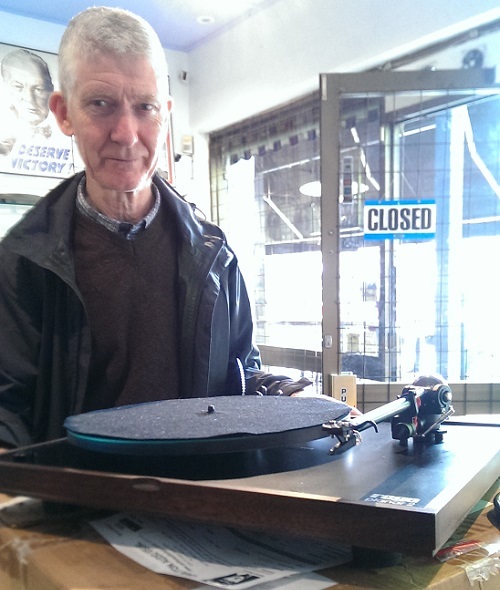 Turntables defy normal expectations of consumerism, and the story of this chap who bought his record player in 1982 is a good example of the longevity and rewards in this music format. Rega have been making minimalist, no-fuss, high quality turn tables for the last 40 years. They've won metallurgical awards for their single piece tone arms. They make just about every one of their products in house in the UK. And they offer a lifetime warranty on manufacturing defects. They say "lifetime" and they mean it. We recently had a gentleman in with a Rega Planar 2 that he bought in 1982 from Encel Stereo. His old S Type arm was falling apart, and amazingly the Australian Rega agents offered to fix it under warranty. To get a 30+ year old bit of equipment fixed under warranty is just outstanding service and I can't over state how impressed I am with Rega's back up for their products. It did turn out that the arm was in quite bad shape. The service guys said they would fix it happily, but that it would come apart again. The solution was to upgrade the gent to a modern single piece arm at a price that was well below whole sale cost.